Humble church in peaceful setting - last of the Cypurs January trip photo and words pages. Here. 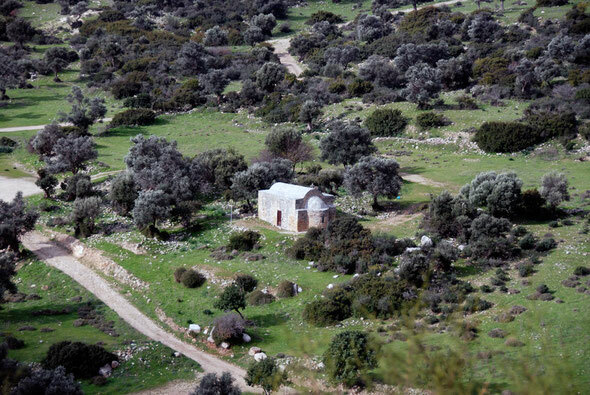 The church of St. Constantine and Helen standing amongst olive trees and green meadows (January 2013).